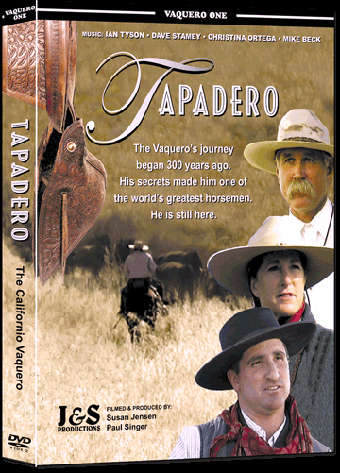 A passionately researched and beautifully filmed DVD about the long history and present day contributions of the California vaquero by Susan Jensen and Paul Singer. 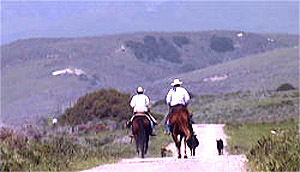 With their slick-fork saddles and silver spade bits, the vaqueros still trail cattle through the golden hills of California. Their journey began 300 years ago and their training secrets made them some of the world's greatest horsemen. 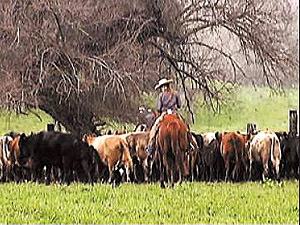 This documentary takes you to some of the great land grant ranches, where the vaquero still ropes and brands the old- fashioned way. These are the California Vaqueros and they are still here. And with them their gentle horsemanship and refined horse training techniques. it is a living tribute to those hardy souls who are living the vaquero tradition and carrying it forward. This 80 minute documentary has just been released and is taking the California horsemen community by storm. Own the set. Enjoy a wealth of entertainment and information. Save and Buy this set at a discount here. 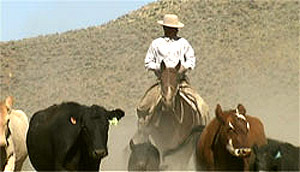 The Vaquero roots go back fifteen centuries to Spain, the Moors and Mexico. He carried his bravery to the New World and had a profound influence on the Californio Vaquero and his horsemanship. 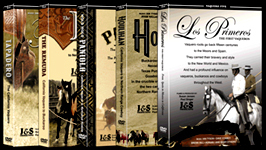 Filmed in Spain, Mexico and the American West. The Remuda picks up where Tapadero leaves off, and takes you to the land of the Buckaroo, the Great Basin Country of Nevada and Oregon. You’ll get an insider’s look at famous ranches, like the White Horse in the Owyhee Desert of Oregon and the TS in Battle Mountain, NV. You’ll watch as they wrangle in their big cavvys, and expertly rope out their horses for the buckaroos to go to work. You’ll see them branding on the open range, using skills passed down by their Californio forebears. Holo Holo Paniolo is the engaging documentary about the Paniolo who works the ranches of Hawaii today. The Vaquero taught the Hawaiians how to rope and ride. The Paniolo's bravery was his own.